Stars wore white roses during the Grammys in solidarity of the Time's Up movement, which saw celebrities dressed in all black for the Golden Globe Awards. White roses historically symbolise hope, peace and resistance, as celebrities once again showed their support. Lady Gaga stunned (as always) in Armani Privé, but her voluminous skirt, lace cat-suit and corset styled hair unfortunately put her on our worst dressed edit. Just as Hailee Steinfeld wowed in a white silhouette Alexandre Vaulthier dress, only to ruin her look with metallic purple over-the-knee boots. We were also unimpressed with Kesha’s take on the tailored suit, and Pink’s lively feathered dress combo with a chunky belt we left behind a decade ago. Meanwhile, Chrissy Teigen rocked her maternity style in Yanina Couture, Cardi B wore an angelic dress by Middle Eastern label Ashi Studio and Janel Monae owned power-dressing in a Dolce & Gabbana floral tux. 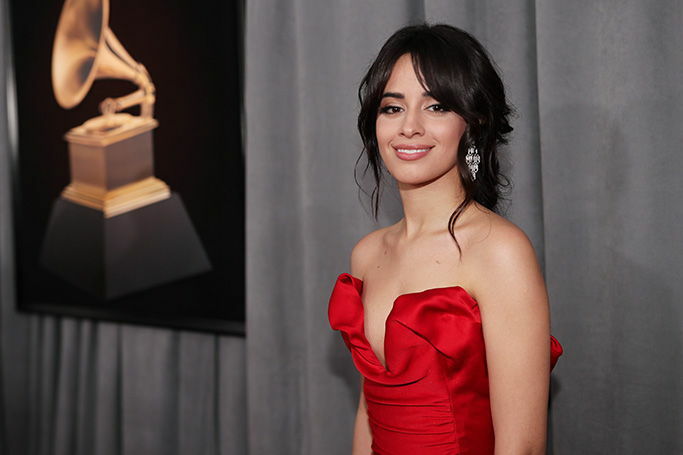 We also loved Lana Del Ray’s Grecian goddess look in Gucci, Miley Cyrus’ sophisticated black velour jumpsuit and Camila Cabello’s glamourous red dress.